The scientists found that the object’s magnetic field is more than 200 times stronger than Jupiter’s, which, in turn, is between 16 and 54 times stronger than Earth’s, according to NASA. 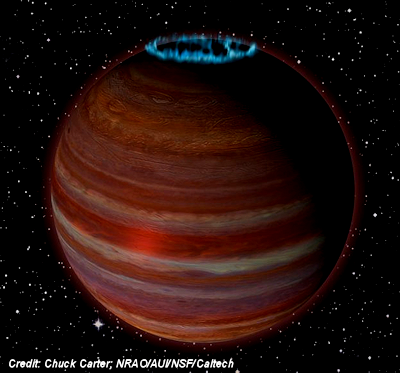 How the object, which scientists call SIMP J01365663+0933473, can maintain a magnetic field so strong, as well as generate spectacular auroras, is still unclear. “This particular object is exciting because studying its magnetic dynamo mechanisms can give us new insights on how the same type of mechanisms can operate in extrasolar planets — planets beyond our solar system,” lead study author Melodie Kao, an astrophysicist at Arizona State University, said ….